A gorgeous keepsake for baby’s first Christmas, this beautifully illustrated fine bone china Christmas bunny bauble will be treasured for years to come. 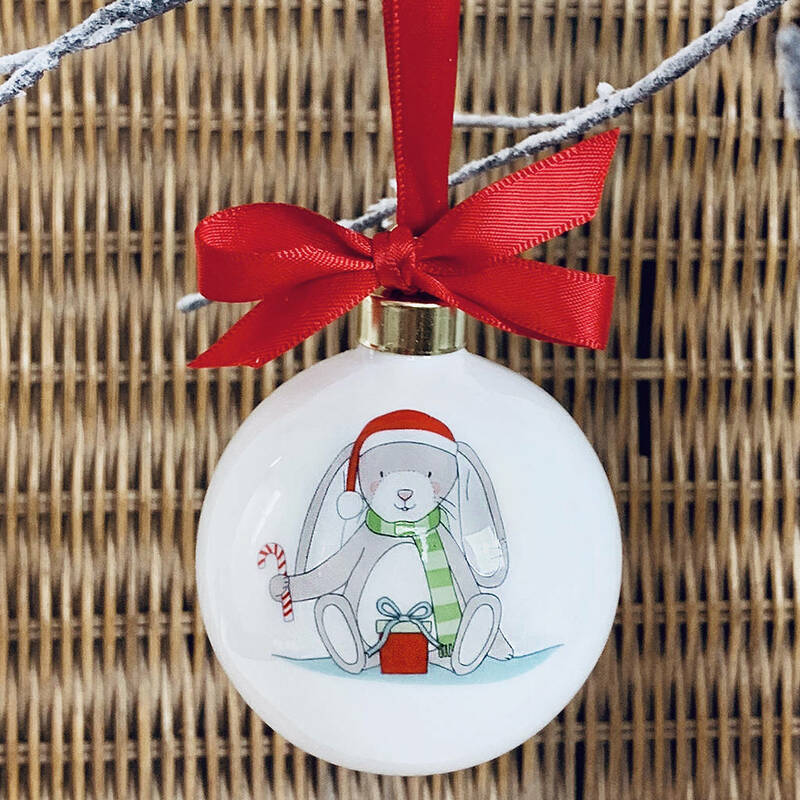 This exquisite fine bone china bauble is beautifully illustrated by our own Babyblooms artist, Amanda Bradley. 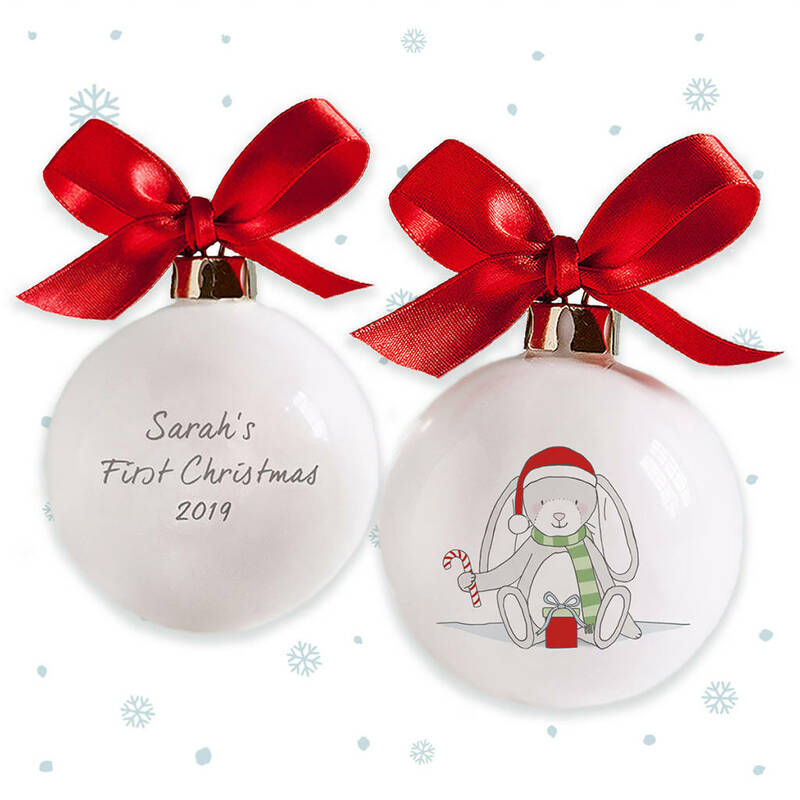 Our cute christmas bunny is wonderfully detailed and each bauble is inscribed with a personalised message of your choosing. A beautiful red ribbon completes this lovely Christmas decoration, a perfect way to celebrate a new baby at Christmas time. Please check your spelling of the name carefully, it will be personalised exactly as entered. 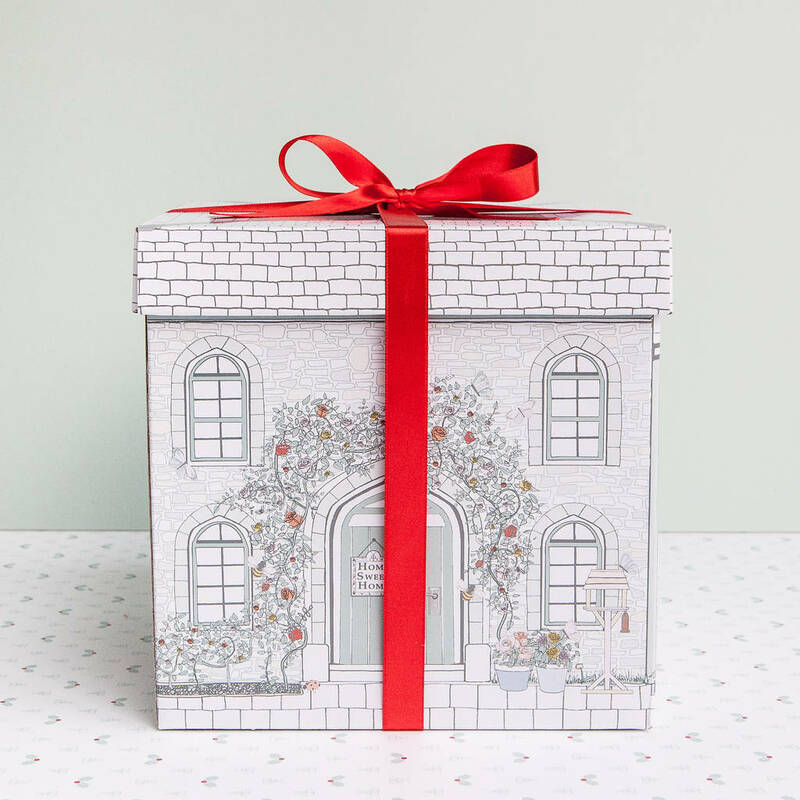 Please note, that this gift will be delivered separately from any other purchases and within 7-10 working days. PLEASE NOTE: Only orders placed before 4th December will be guaranteed for delivery before Christmas. This product is dispatched to you by Babyblooms.